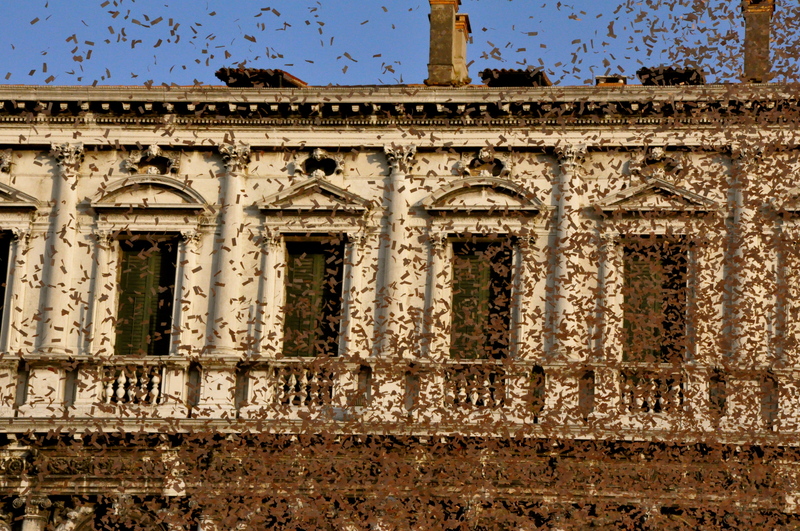 When we were in Venice, I wanted to show everyone St. Marks Square. When R and I went back in 2007, we loved sitting in the square at night, listening to dueling orchestras and enjoying a $20 ice cream. So, we headed to St. Marks on a vaporetti (bus / boat ) from our hotel. Vaporettis are great direct and affordable transportation in Venice. They also allow you to see the canals. But in the summer, they can be hot and crowded. 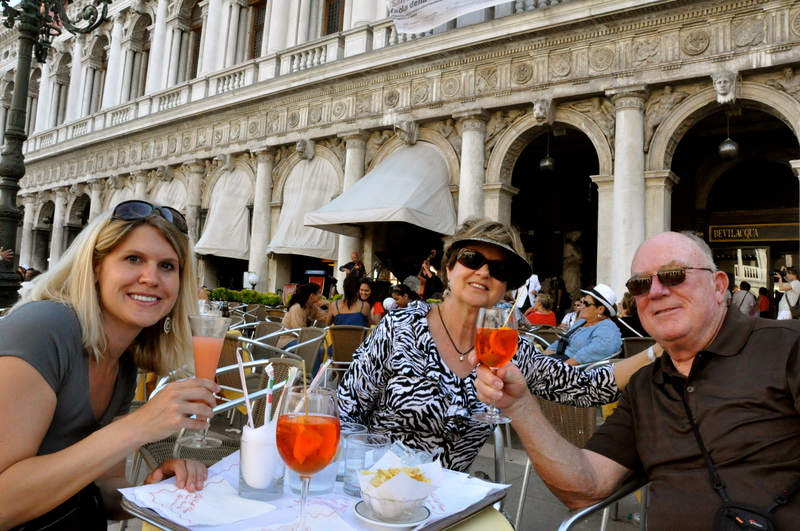 We were in need of some refreshment immediately after docking, so we had a round of drinks across from Doges Palace before heading towards the area. Me with a Bellini. Gabe & Solid with Spritz’s. Twin with water. 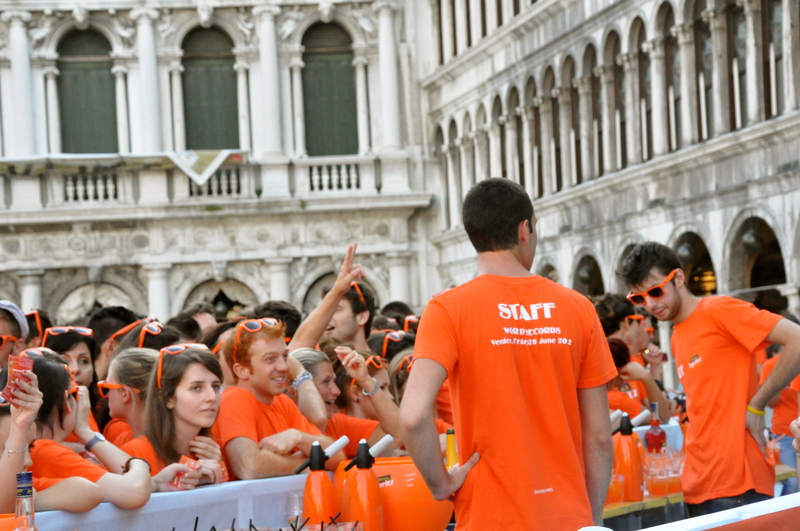 However, when we approached St. Mark’s, all we saw was orange. 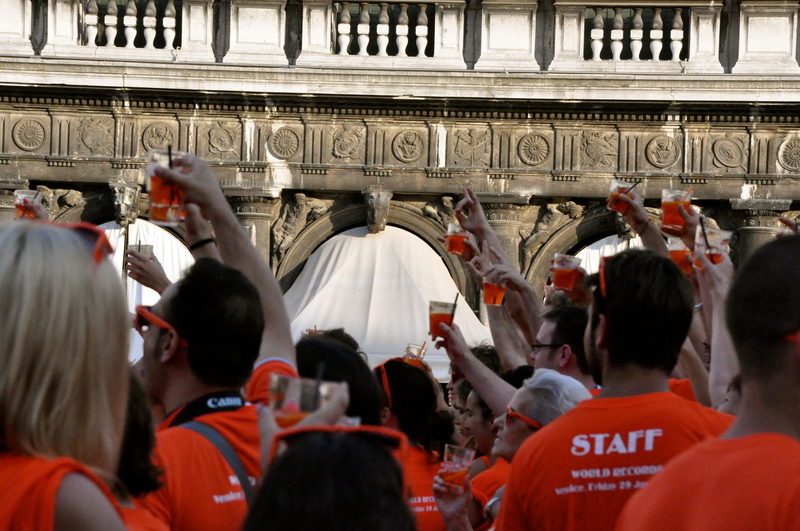 Aperol was hosting “The biggest Spritz toast” in St. Marks Square. 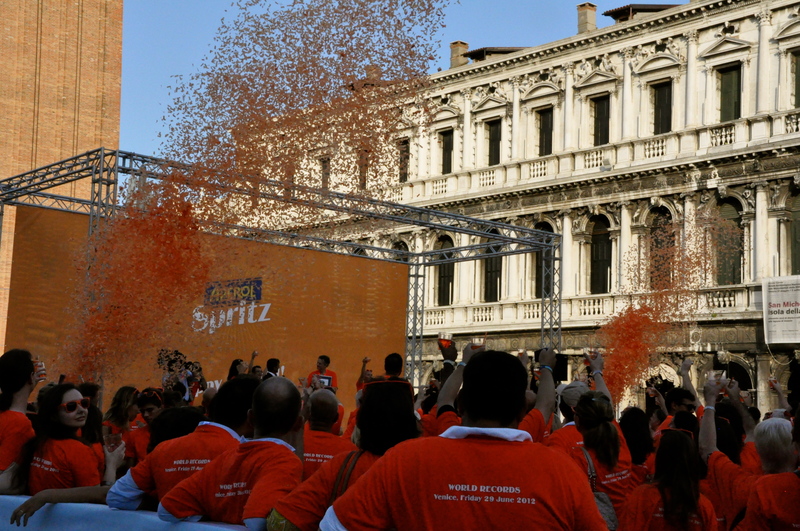 You could simply just walk up, get a free tee-shirt, and join in with free Spritz’s. We were tempted. But it looked crowded. 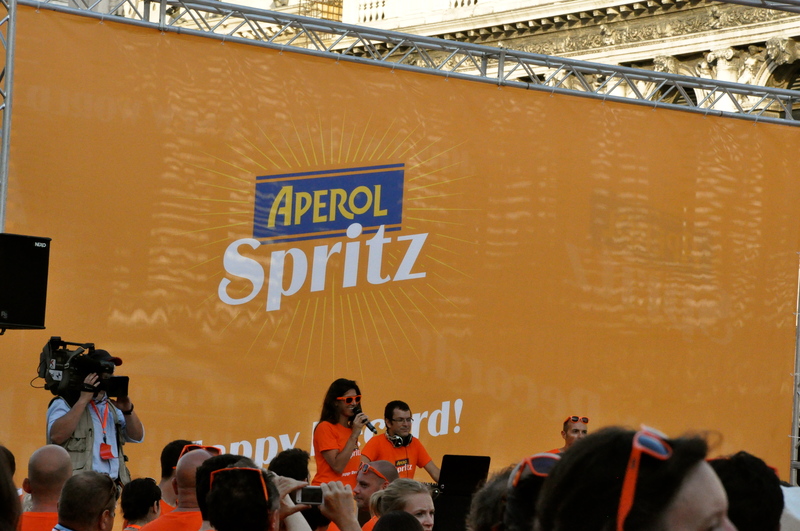 That is how you know you are getting old…turning down free Spritz’s because of not wanting to be in a crowd. A Spritz is 3 parts Prosecco (Italian sparkling wine), 2 parts Aperol, and 1 part club soda. They are usually served with an orange slice. Sometimes, they are served with a yummy olive too. This mainly happens in Italy. Gabe always orders a Spritz for an aperitif when we go out to our favorite Italian place in Geneva, Luigia. Congrats, Spritz, on your world record. This entry was posted in Festivals & Events, Food, Wine & Beer, Travel: Europe, Visits & Trips with Visitors. Bookmark the permalink.